Walking in Another Person’s Shoes: Part 2 The old saying suggests you never truly understand another person until you’ve walked in his or her shoes. 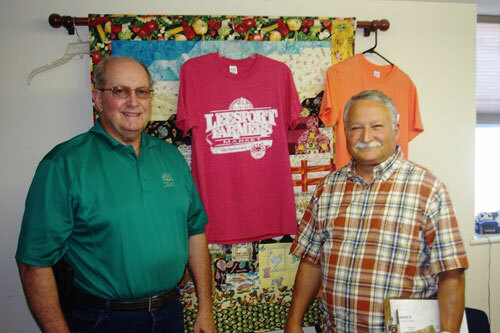 In other words, you need to truly experience a person’s life in order to understand his or her perspective.With that in mind, I’m learning the perspective of local businessman Woody Weist, owner of Leesport Farmers Market. Woody on Sept. 24 shadowed me to learn about my work as a state representative. This week, Iexperienced a day in Woody’s life and witnessed the nuances of scheduling livestock auctions, produce auctions and all aspects of operating a farmers market. The Leesport Farmers Market hosts hundreds of vendors every week, each offering their own unique and interesting products.